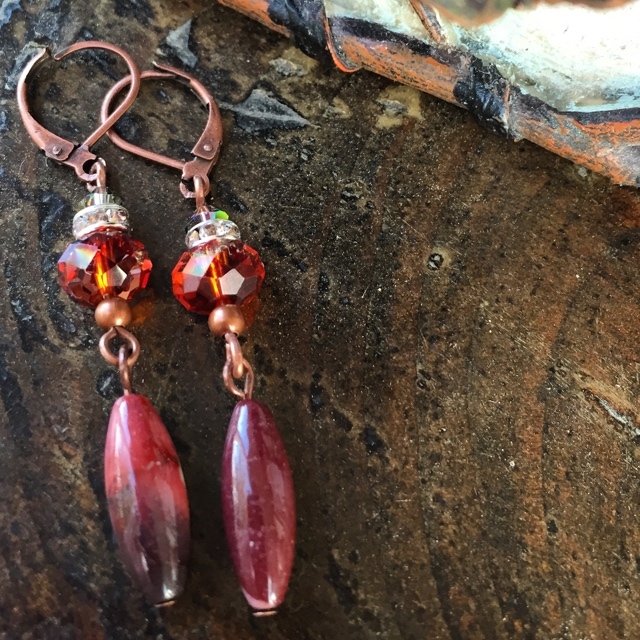 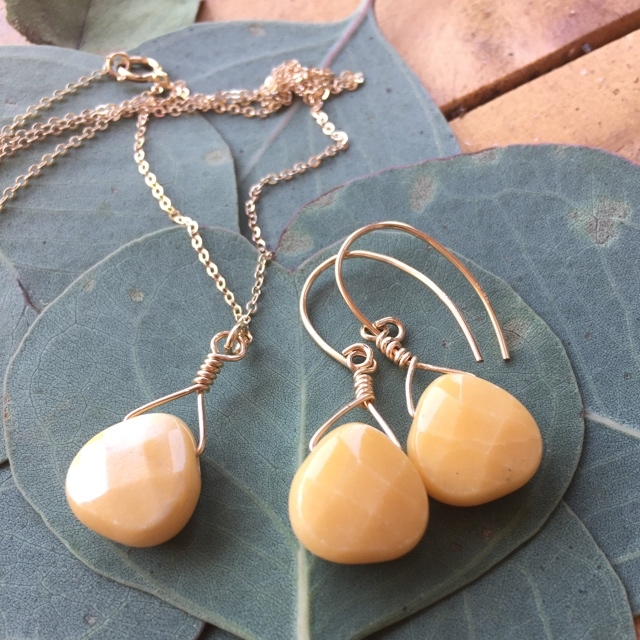 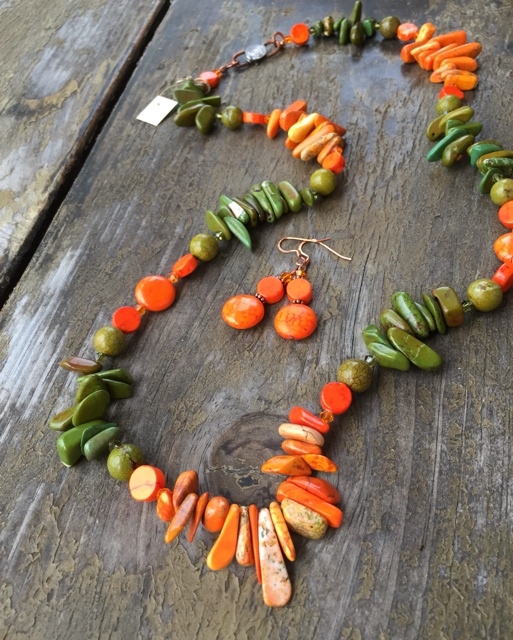 Love these large orange dyed Turquoise round pumpkin beads and golden crystals accented with antiqued bronze metal for a rich, warm harvest gold color statement. 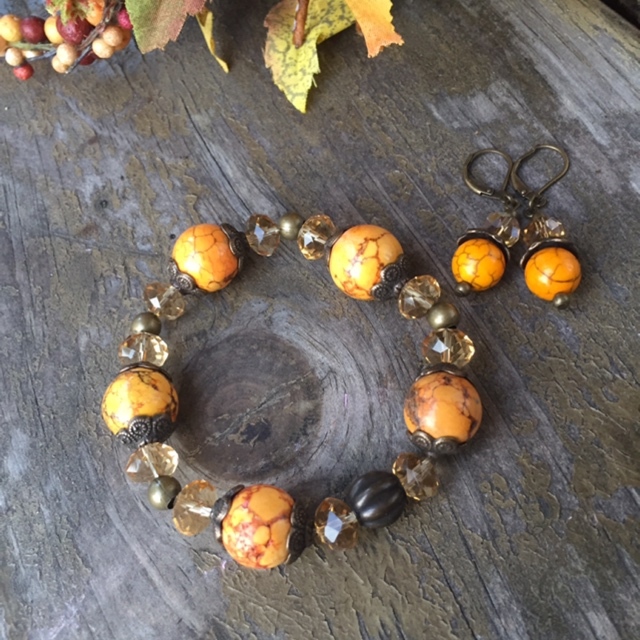 The stretch bracelet can stand alone or stack easily and the easy to wear 1.25” lever back earrings will be your favorite for the season. 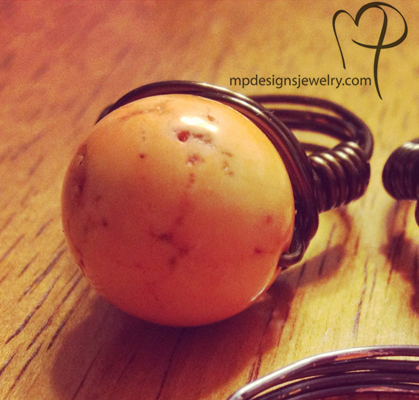 A perfect pairing for nice set to give or wear.